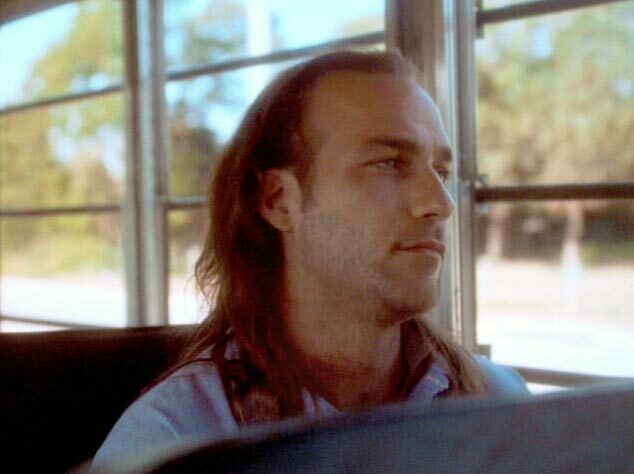 Death row inmate Joe Ray (Kevin Gage) is among a group of dangerous prisoners being transported by bus, when they are “liberated” by a heavily-armed attack squad. 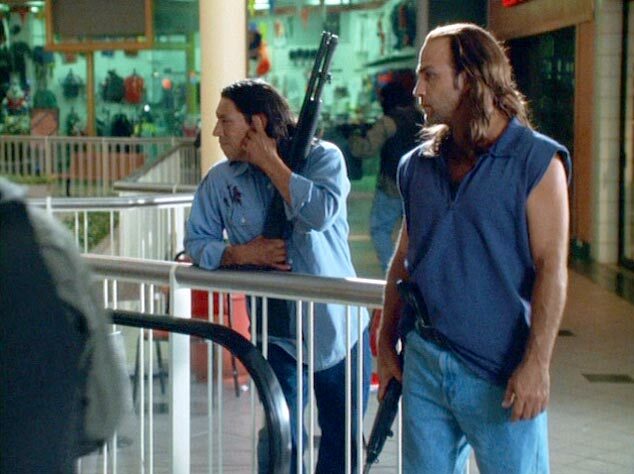 The prisoners shoot up a shopping mall and take hostages. 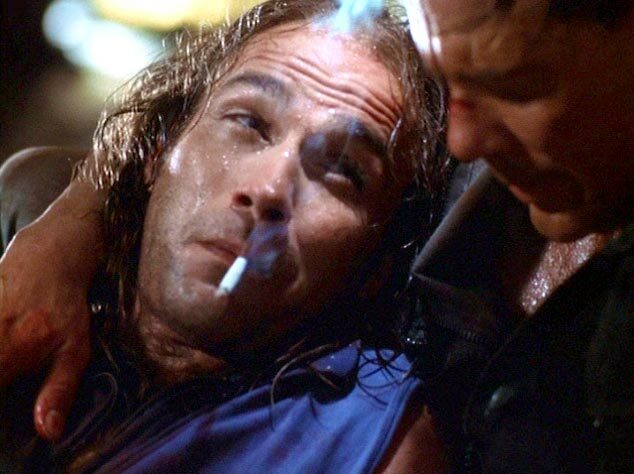 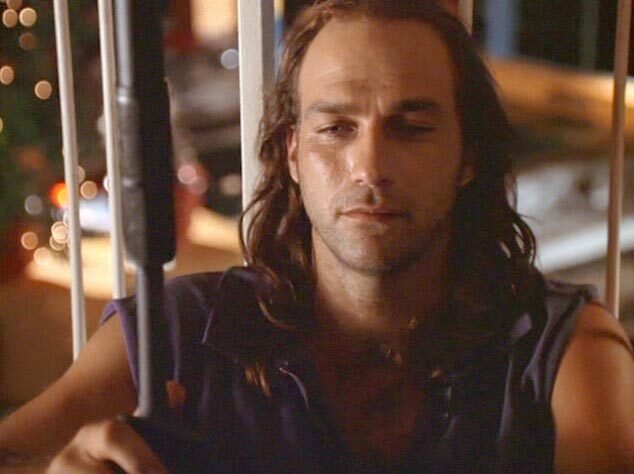 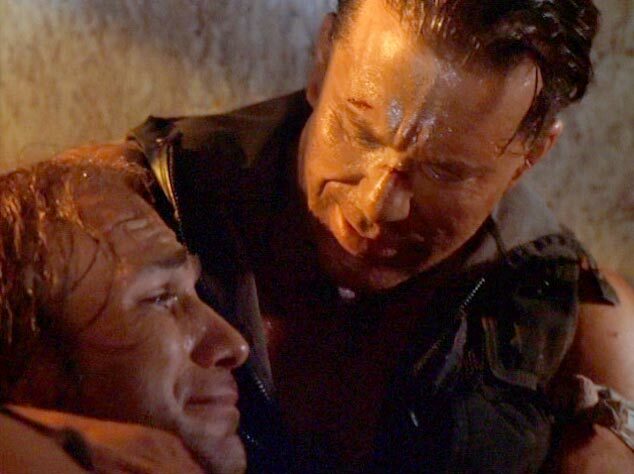 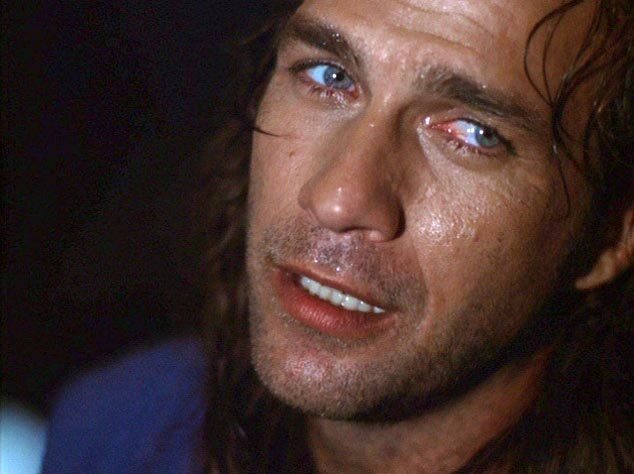 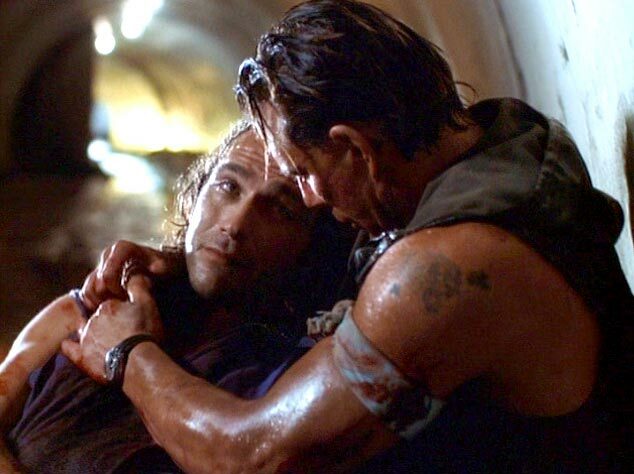 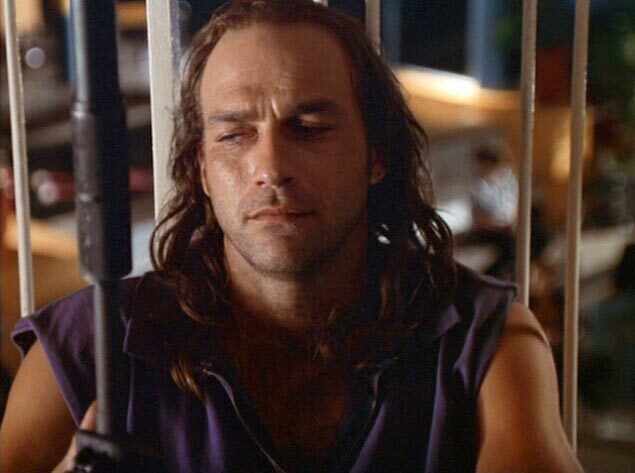 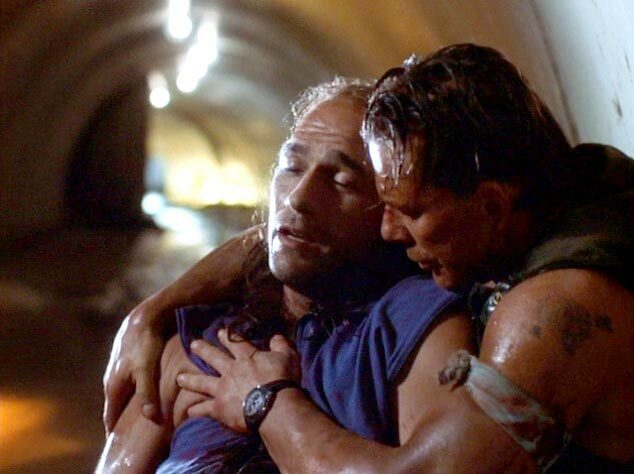 Joe’s ex-commando brother, Rudy (Mickey Rourke) hears about the standoff. 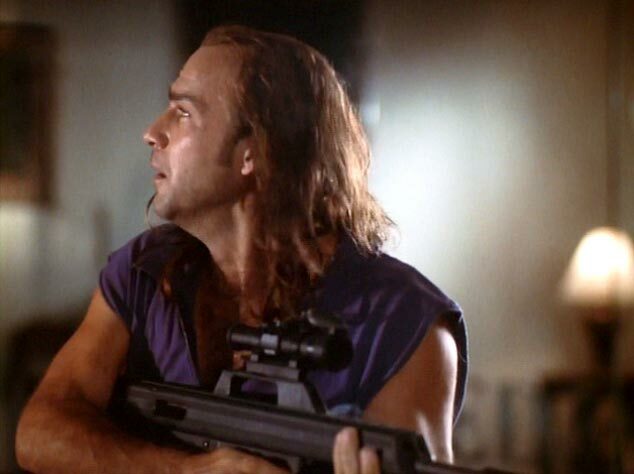 He sneaks his way into the mall with his weapons and ninja techniques to free the hostages and rescue his wayward brother. 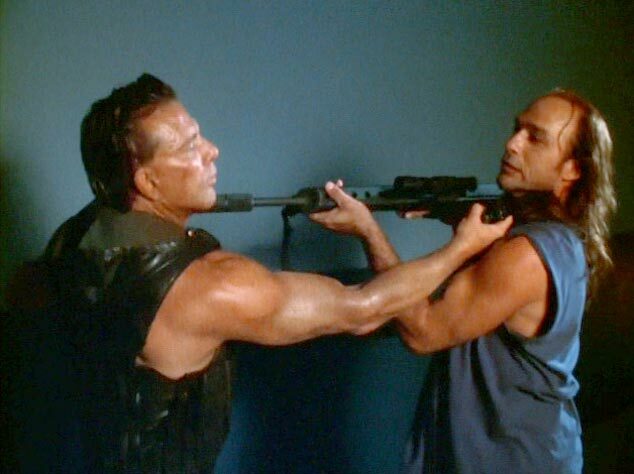 One prisoner, Wallace (played by Danny Trejo), takes an obvious pleasure in killing and otherwise terrorizing the mall civilians. 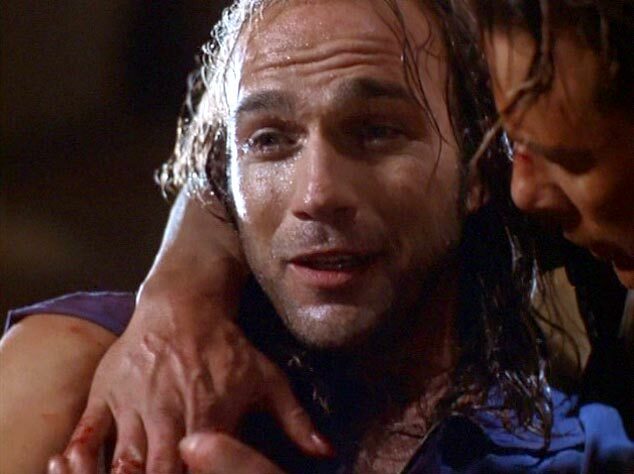 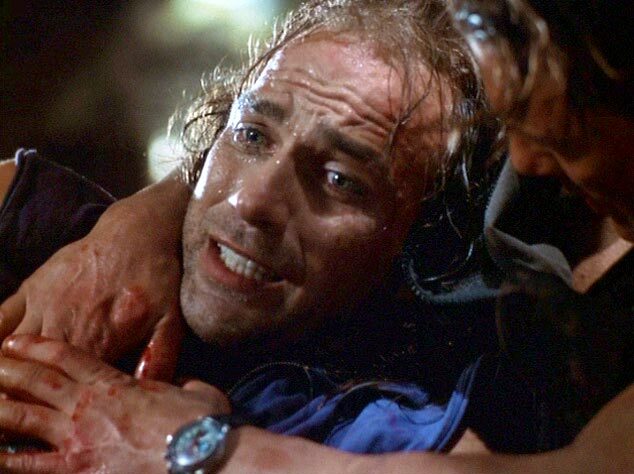 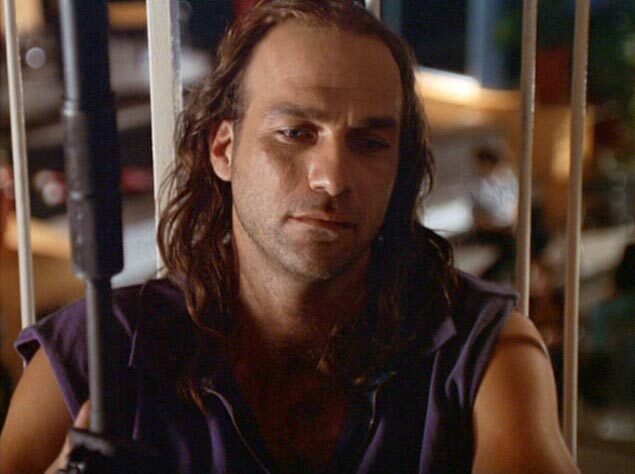 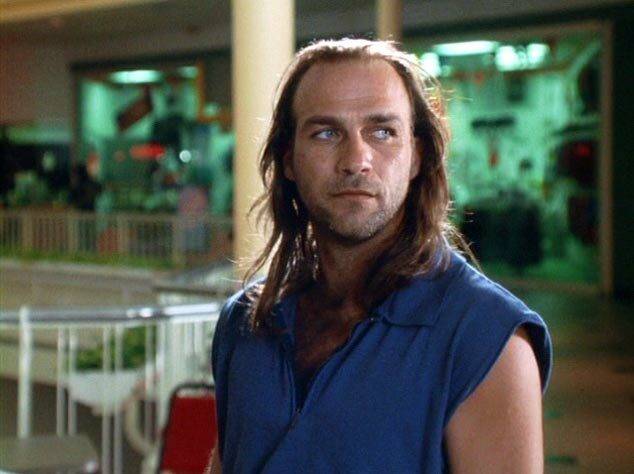 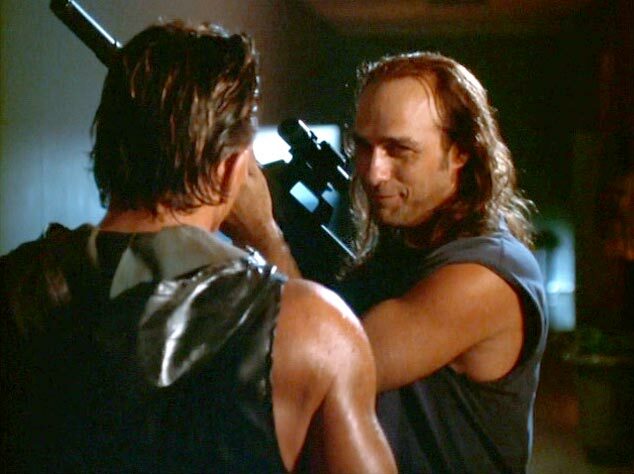 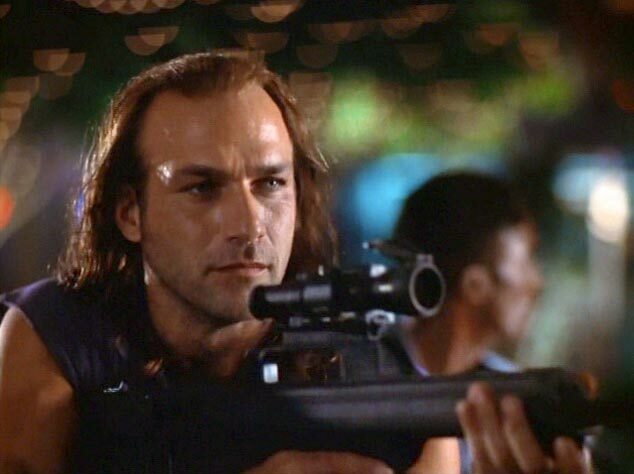 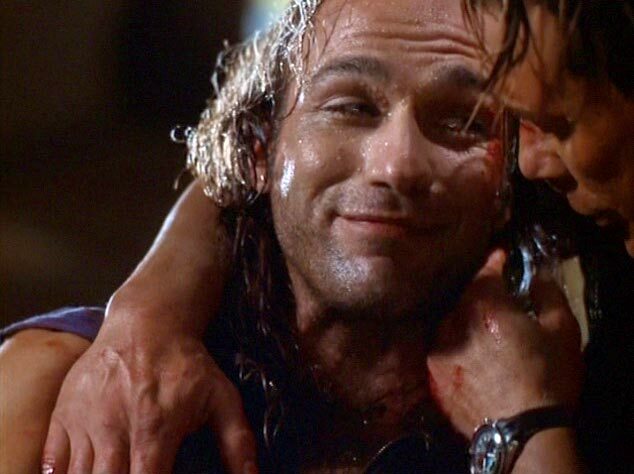 But Kevin Gage’s Joe Ray displays no taste for unnecessary violence and tries to keep the body count to a minimum. 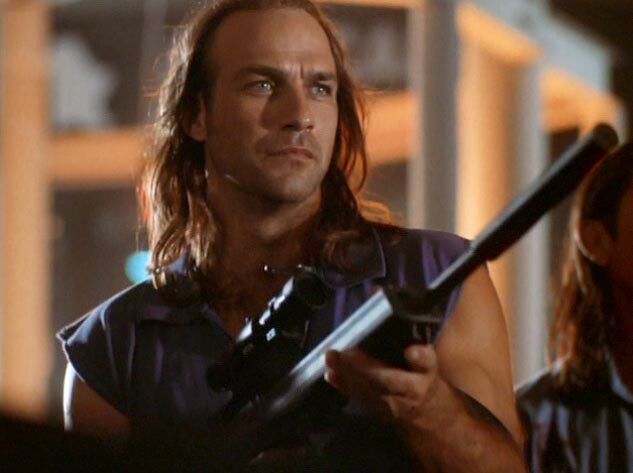 If you are looking for lots of footage of Kevin looking good with long hair and solidly muscled bare arms carrying large deadly weapons, look no further. 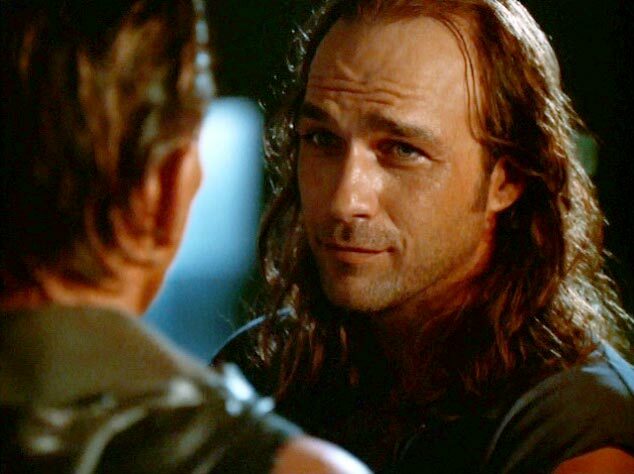 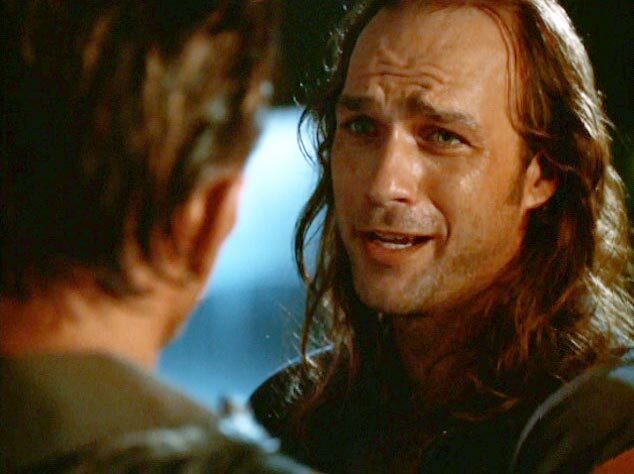 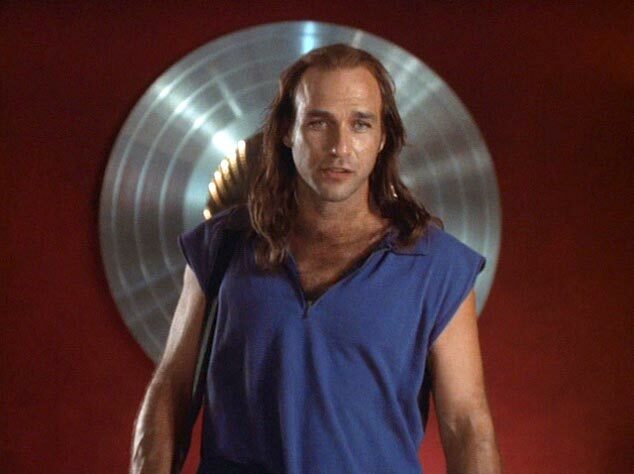 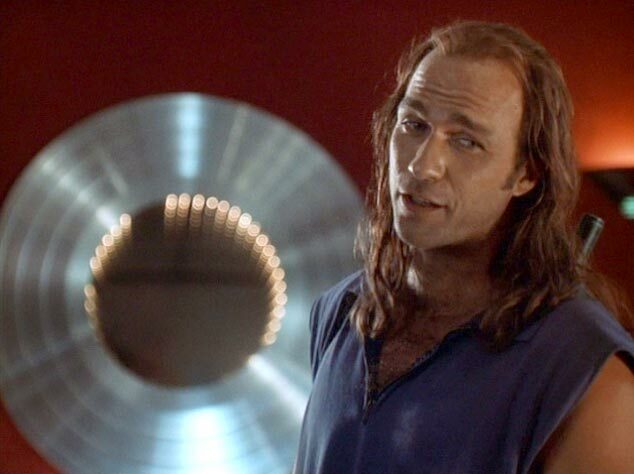 Casting note: Mickey Rourke himself chose Kevin Gage for this part, saying that Kevin looked like he could be Mickey’s brother. 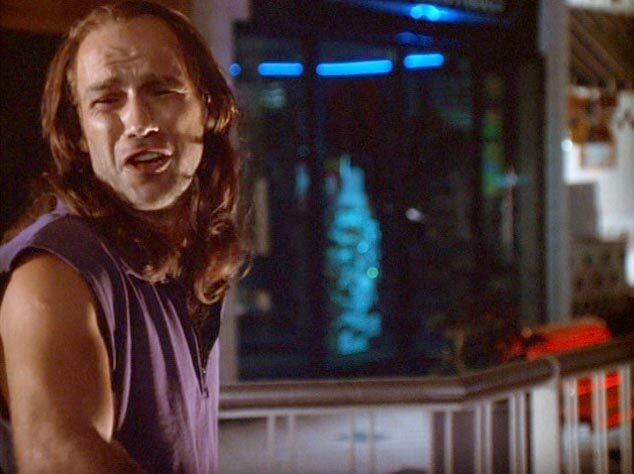 R for pervasive violence, sexuality, drug use and language.